Febrovery has moved along, and Blacktron (Especially the first generation) had quite the showing. 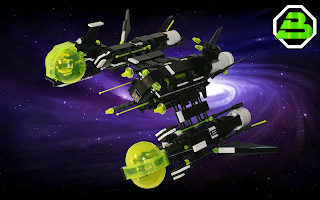 Nothing compared to what Classic Space had, but Blacktron didn't get featured in a couple The Lego Movie 2 sets, either. So I'll take what I can get. 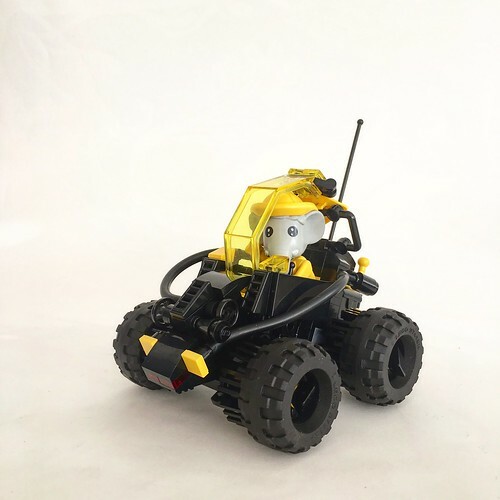 First up we have this cute little "Drag-Rover" by David Alexander Smith. Nice use of the pan for greebling. 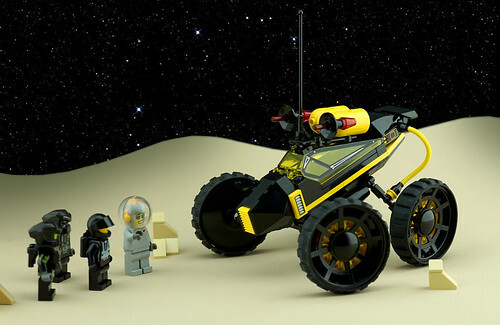 Next we have this interesting rover by Walter Whiteside Jr. with some unique and one-of-a-kind rare production parts. 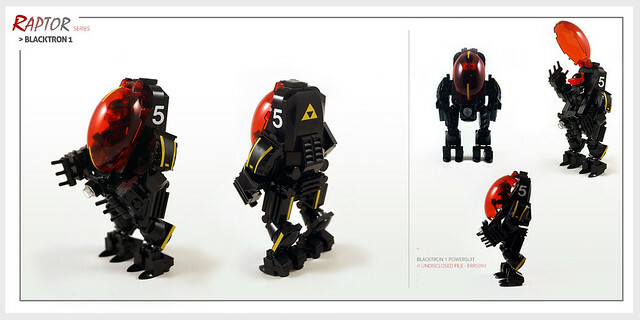 Looks like it is based on early concept art for Blacktron. To end it off, we have this badass rover by Frost. Not going to say anything about it. Just too badass for that. I didn't build this, I swear. This little rover (I don't know if it's for FebRovery or not....) checks off two big things in my books. 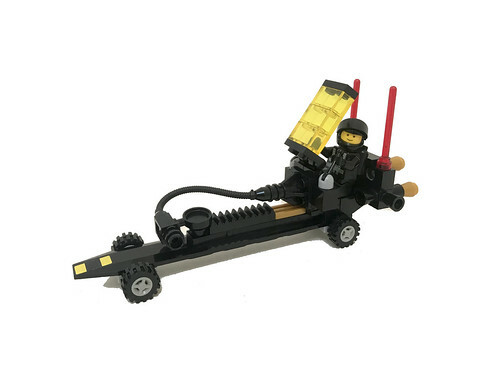 It's Blacktron, and it's got an elephant pilot. Why didn't I think of this? Lee H. Mee, you are a genius. A nicely designed rover, too. A set that never was. Imagine you are walking down an aisle in a toy store in the late 80s, and saw this sitting on a shelf. 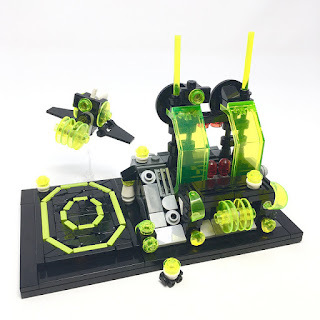 Walter Whiteside Jr. either has inside information, or a really good imagination, for he built this MOC that he says is based on the original Blacktron concept. 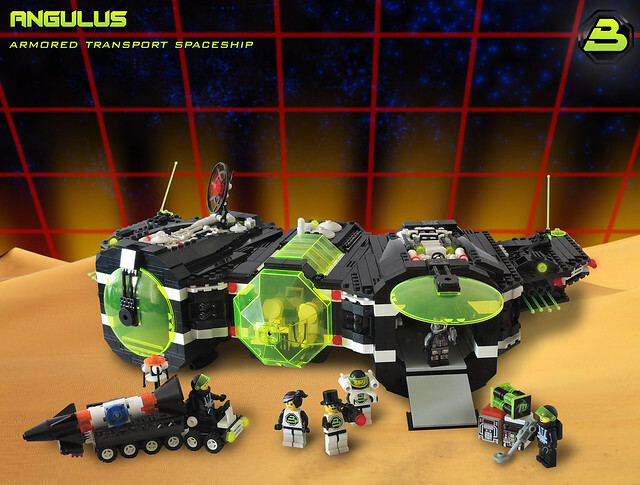 I'm quite certain if this was actually a set, it would be the strangest space set out there. It's kind of cool, but very strange at the same time. Had this moc sitting around for a long time now needing pictures. 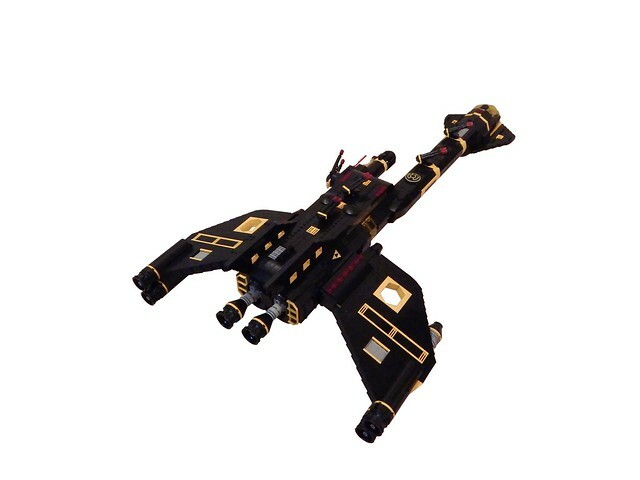 This is actually a remake/upgrade of an older version of the ship. I never technically broke the original as I just "replaced" just about everything to it. 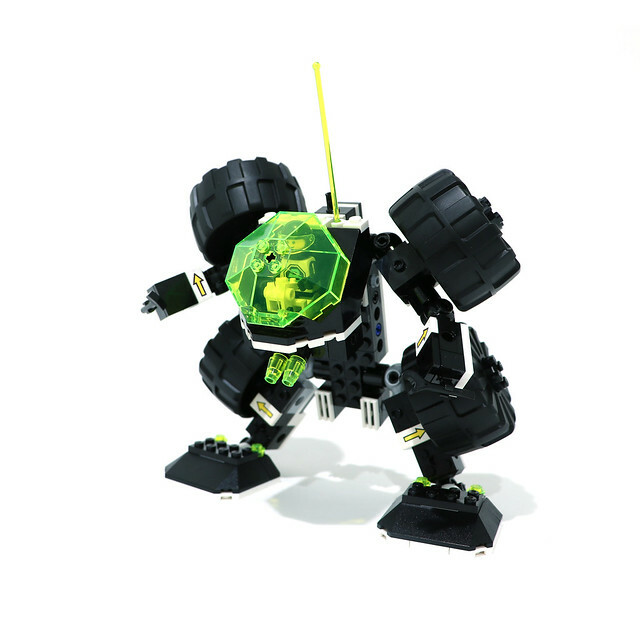 There are some mocs that are micro versions of sets that are just fantastic. This mini 6988 Alpha Centauri Outpost is one of those micros. With a part usage such as the minifig visor this moc truly stands out as great build. Flicker link It may be a older moc dating back to February of last year but deserves recognition. It's amazing what you'll find while browsing google images. 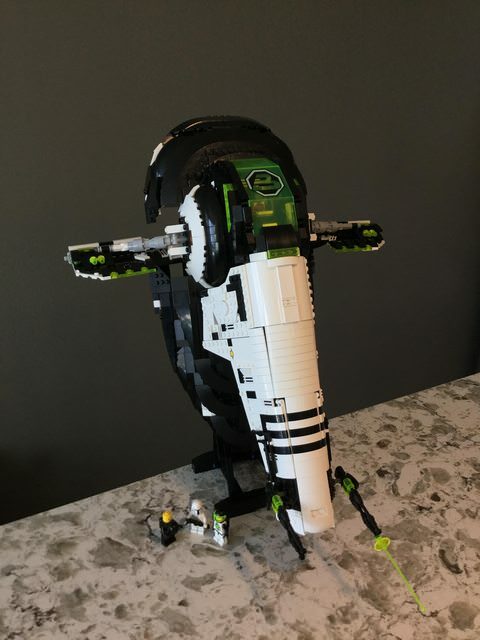 Found this beauty on Brickshelf. Looking at it is a breath of fresh air for me as most fighters after a while seem to all feel like the same design. This however has it's own unique look that makes it stand out. 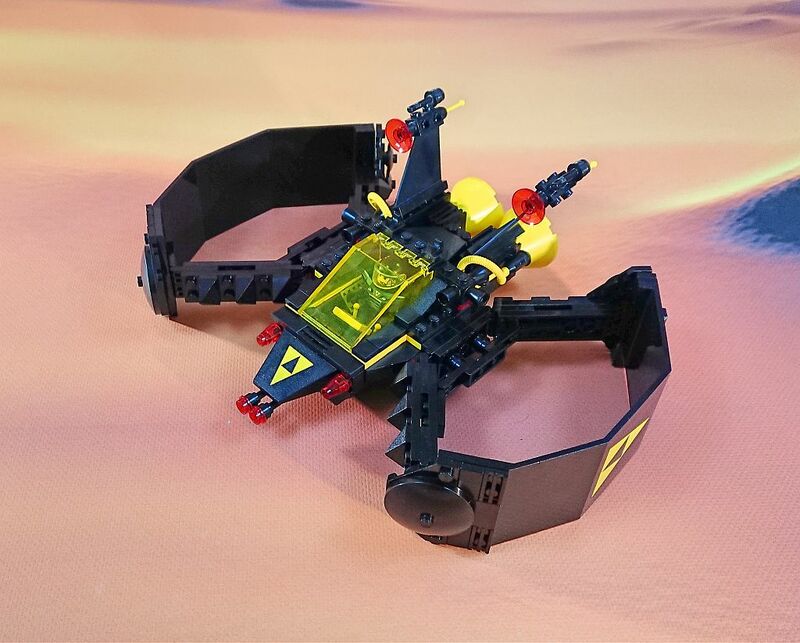 I particularly like the use for the large Blacktron 1 panels for the side wings. 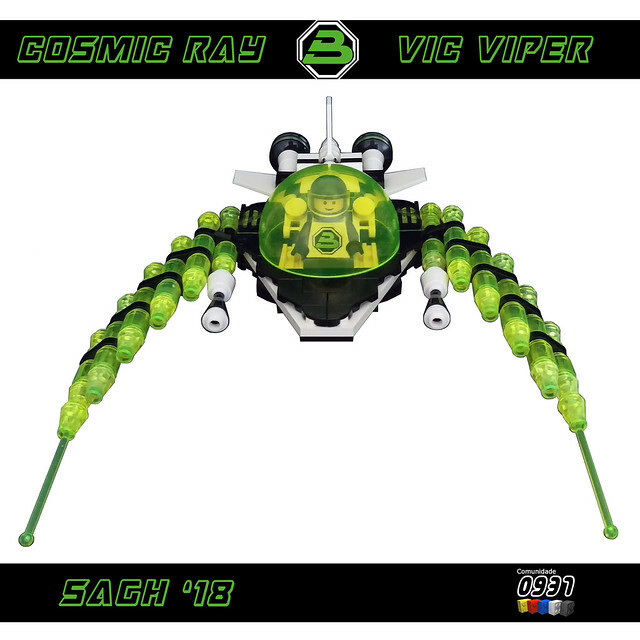 Best thing to come out of the Brickhead theme was the sticker sheet from the Go Brick Me set, for the simple reason that there was a Blacktron 2 logo on the sheet. 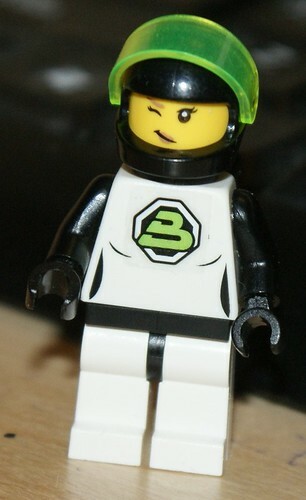 My brother recently modified a torso (The female tennis player from one of the early Collectible Minfigs) and put the sticker from the GoBrickMe set onto it. Can't even tell it's a sticker, eh? I of course, won't be converting my entire collection to look like this. After all, I do have over 90 of those torsos. I could just have all them lying around unused. I've featured Spacerunner here a few times before, but I couldn't possibly resist posting his latest, titled the Angulus. It feels a bit reminiscent of 6981 Aerial Intruder, with a central section and two pods on the side and widely spaced engines. A very unique ship, and top notch presentation. Love the use of the 10x10 dishes. It's been awhile since I posted one of my own MOCs, but I am proud to show off my latest Blacktron 1 SHIP. Yes, you heard me. 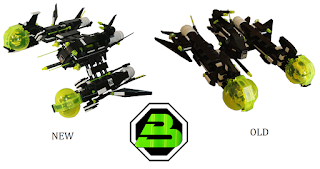 Blacktron ONE! I know, I know, I'm much more of a 2nd Gen Blacktron builder, but sometimes you just got to build a big ol, nasty ol, Blacktron one SHIP. 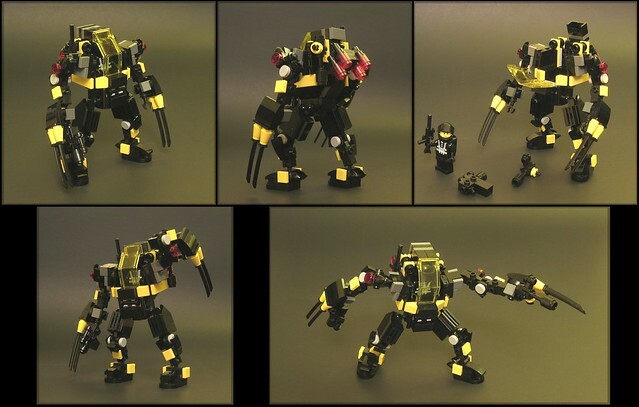 This is far and away my best Blacktron 1 MOC, maybe even my best Blacktron MOC period. The inspiration for this ship, in case it wasn't obvious was the Renegade, and a Klingon D9 Battle cruiser. I feel the two designs really went well together in this MOC. All I can say, is I can't believe I never thought about doing this myself. Yup. Novvember is still a thing. And someone usually shows up with a Blacktron VicViper. I'm going to nickname Paulo Carreira's ship, which he calls the Cosmic Ray, the Missile Wing. 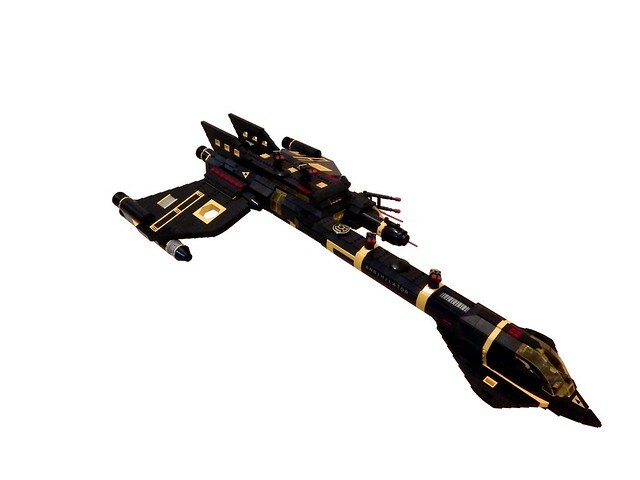 Cause it looks like the forward wings/prongs are made of multiple missiles. Pew Pew. that would be such a Blacktron thing to do. Wings made entirely out of missiles. I feel like I've missed a scheduled check in, and this ship by Kubas Zet is coming to remind me in lethal fashion what the Blacktron think of skipping out on important transmissions. I like the forward facing row of guns with the large engines behind. This ship is all guns and power. The builder claims it's a mech, but if I was told the legs were landing gear, I wouldn't have batted an eye. 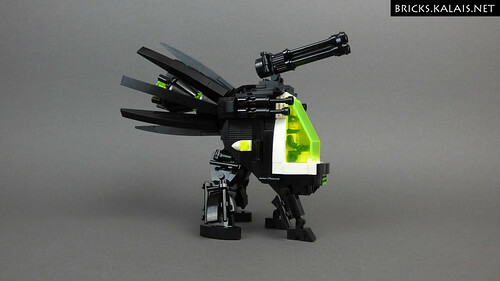 Either way, this Blacktron BT4-D0DO is a interesting and unique MOC. 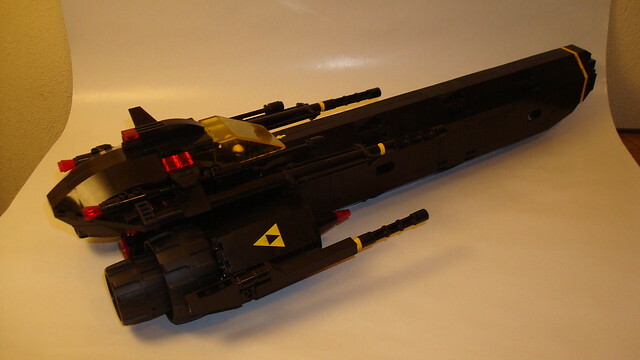 It's a well known fact that Blacktron like stealing stuff. It's also a well known fact they like improving stolen goods. 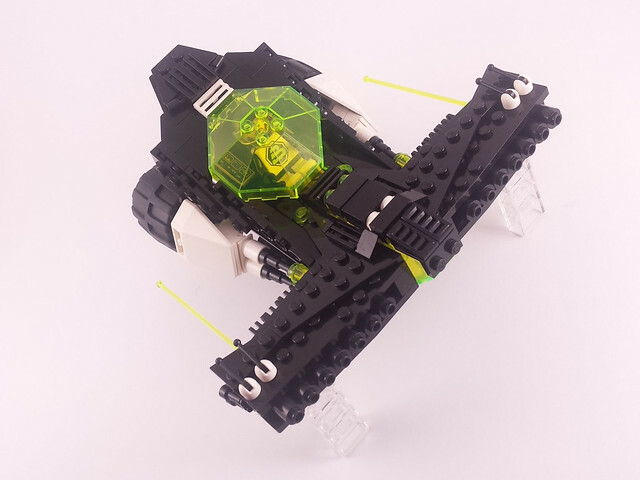 Take this Blacktron Vulture by zorrodahousecat. An excellent blend of beefing up and Viper goodness. A plethora of mechas have surfaced in the Blacktron Flickr group (My main source of Blacktron MOCs) so May as well post em all at once, eh? 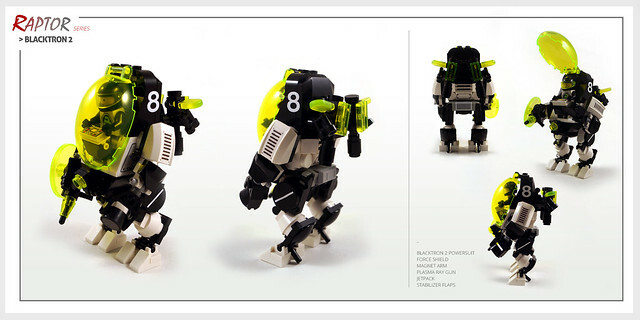 Pico van Grootveld has a series of little "Raptors" which notable include a variant for both Blacktrons. SupaFlyTNT has his Alienator V2. or as I like to call it, a very stompy mech. 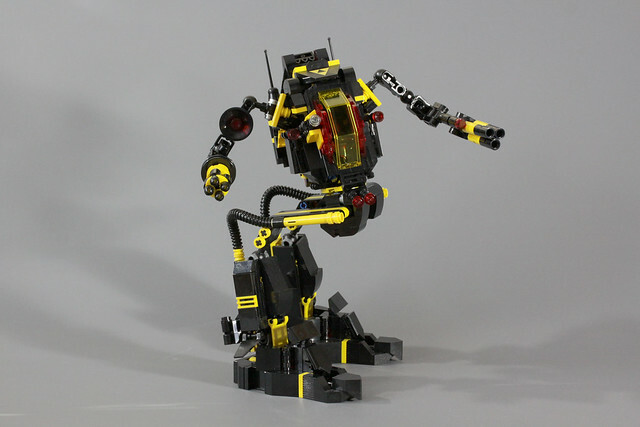 A very interesting take on the Blacktron 1 walker set. I feel it may have worked better without the arms.